1. What is Oxidized Fiber? 2. What is Carbon Fiber? 3. How is Carbon Fiber Made? Carbon Fibers come in many forms and can be manipulated based on a unique application’s needs. For example Several thousand carbon fibers are twisted together to form a yarn, which may be used by itself or woven into a fabric. The yarn or fabric is combined with epoxy and wound or molded into shape to form various composite materials. Carbon fiber-reinforced composite materials are used to make aircraft and spacecraft parts, racing car bodies, golf club shafts, bicycle frames, fishing rods, automobile springs, sailboat masts, and many other components where light weight and high strength are needed. The only limit to what carbon fiber can produce is the imagination of the person who intends to use it. Carbon fibers are classified by the tensile modulus of the fiber. The English unit of measurement is pounds of force per square inch of cross-sectional area, or psi. Carbon fibers classified as “low modulus” have a tensile modulus below 34.8 million psi (240 million kPa). Other classifications, in ascending order of tensile modulus, include “standard modulus,” “intermediate modulus,” “high modulus,” and “ultrahigh modulus.” Ultrahigh modulus carbon fibers have a tensile modulus of 72.5 -145.0 million psi (500 million-1.0 billion kPa). As a comparison, steel has a tensile modulus of about 29 million psi (200 million kPa). Thus, the strongest carbon fibers are ten times stronger than steel and eight times that of aluminum, not to mention much lighter than both materials, 5 and 1.5 times respectively. Additionally, their fatigue properties are superior to all known metallic structures, and they are one of the most corrosion-resistant materials available, when coupled with the proper resins. With carbon fiber and ZOLTEK, the future has arrived. Thirty years ago, carbon fiber was a space-age material, too costly to be used in anything except aerospace. However today, carbon fiber is being used in wind turbines, automobiles, sporting goods, and many other applications. Thanks to carbon fiber manufacturers like ZOLTEK who are committed to the commercialization concept of expanding capacity, lowering costs, and growing new markets, carbon fiber has become a viable commercial product. There are four primary types of Carbon Fiber that ZOLTEK produces. Each is made using a unique proprietary procedure and can be customized or manipulated to meet the needs of a specific application. It’s our team’s goal to harness the versatility and capabilities of carbon fiber through our robust product lines. Our commercial grade carbon fibers are known as ZOLTEK PX 35. Available in a variety of forms, ZOLTEK PX35 delivers unparalleled strength-to-weight performance at am affordable price. 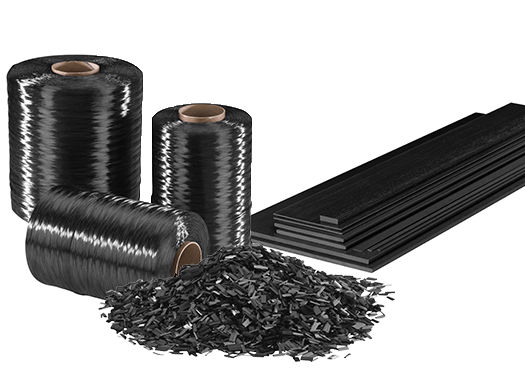 Our high-purity and high-thermal performance carbon fibers are known as ZOLTEK PX30. As a high purity and high-thermal performance material its various product forms are frequently used for fuel cells, carbon/carbon composites, energy storage battery, and many other specialty applications (outlined in the table below). Our oxidized PAN fibers are known as ZOLTEK OX. ZOLTEK OX is inherently flame resistant, making it an effective heat-blocking and fire barrier material. It outperforms all other organic flame resistant fibers in terms of limiting oxygen index and does so at a very competitive price. ZOLTEK also offers unmatched efficiency and sustainability with our ZOLTEK Recycled Fiber product line. Our recycled carbon fiber modulus is basically the same as virgin carbon fiber, but with a 20-40% cost-savings. See some information you’d like to save? Download the information on this page by telling us a little about yourself.